The Square - The four sides of a square are all equal. The four angles are each 90°. If you join a diagonal of a square you will create two equal triangles. 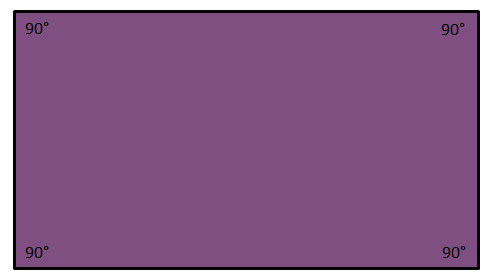 The Rectangle - Opposite sides of a rectangle are of equal length. The four angles are each 90°. 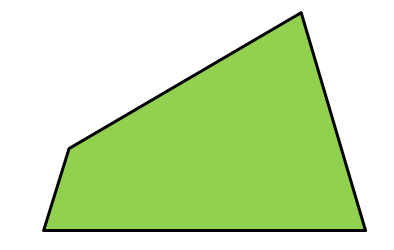 The diagonal bisects the area of a rectangle into two equal triangles. The Rhombus - The four sides of a rhombus are equal in length, opposite sides are parallel and opposite angles are equal. 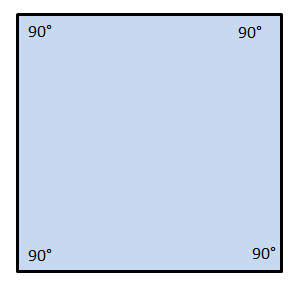 If you joined the diagonals of a Rhombus they will bisect each other at 90°. See directly below to experiment with this fact for yourself. The Rhomboid or Parallelogram - The opposite sides of a rhomboid are parallel and equal in length. The opposite angles are equal. The diagonal bisects the area of the Rhomboid into two equal triangles. The Trapezium - A Trapezium has two parallel sides. The Trapezoid - A Trapezoid has no equal or parallel sides.